In this post I have compiled a list of some of the most exciting Android games that will make you feel alive. Filled with twists and turns or just a regular show, these game surely stand out from the rest. If you are a fun of the horrifying animatronics of five nights and Freddys, then a new game has been released for you. This game is cast a pizza store known as the faz bears pizza in which had been closed for around 30 years. The game is as scary as hell. You will find yourself having goose pumps every time you play this game. The 3rd entrant of the game is just as scary and interesting with graphics and sound tracks as good as if not better than the last two releases. Regular show is one of those animated shows which is a bit difficult and trippy to explain. An android game based on the popular cartoon show is out and its as exciting as hell. It is simple to play too. You just have to put your three chosen members from the hit shot to work on the virtual field with other players. The game gets even better as you have the ability to use power ups and super-abilities to knock out your competitors. The game comes in both single and multiplayer options. The single player has great stages and the same screen multiplayer version of the game works very well on tablets with a large display. This game has a very simple concept. 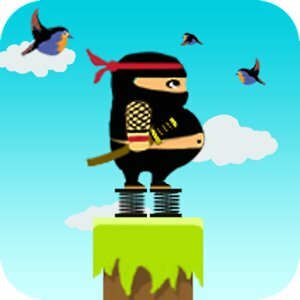 You have to keep your overweight ninja alive by tapping the screen and making sure that you bounce him to the platforms. Though this game sounds easy enough, you will find it very difficult to score a ten or something close to ten. When playing the game, ensure that you keep your ninja safe by using the springs. Reckless racing 3 is a micro machines racing game with an isometric view. The game allows you to look down from above thus producing a frentic contest. The game uses simple on screen controls for controlling your vehicle. This is a very interesting game for those who love playing racing games. George covers Android rooting tutorials.